Nestled between Rt 21 and historic Rt 40 in Uniontown, Pa lies two cemeteries. One called Oak Lawn Cemetery and the other now called Oak Grove cemetery. I’ve done a little research and found that the Oak Grove Cemetery was established in February 1867 and was formally called Union Cemetery. Unfortunately I wasn’t able to find much more information on the two cemeteries but if you are in the area they are both worth taking a look at. The Oak Grove Cemetery has many older grave markers, some of which have fallen over and have since been consumed by the vegetation. One thing that I did find out is that the location of the two cemeteries is directly across from the Uniontown Hospital. This evidently has been a point of, shall we say, comedy over the years. Typically we find cemeteries located near a church, but not often do we find them next to a hospital. If you in the area be sure to check these two gems out. You will find they make for a nice leisurely walk. If you enjoy the photos let me know. Comments are always welcome. 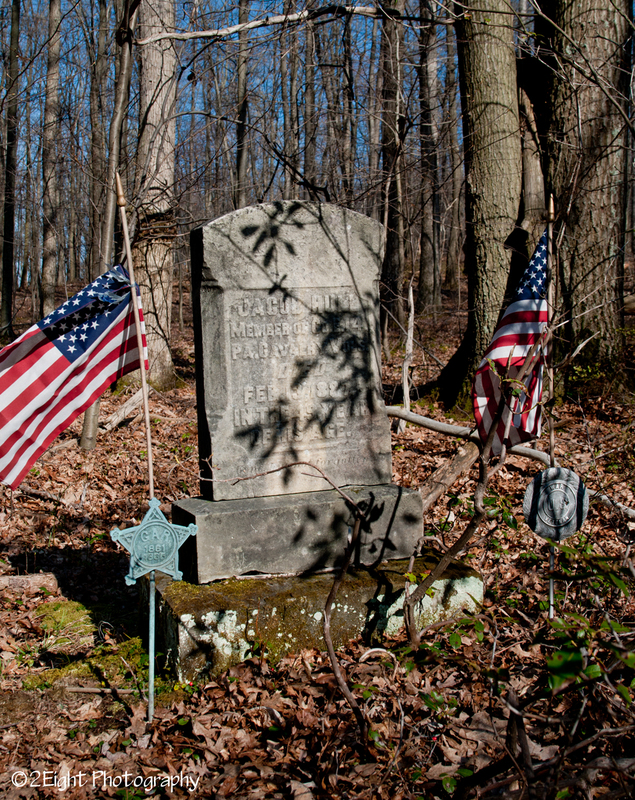 On a recent drive in the woods a friend and I came across the final resting place of a Civil War soldier. I realize that there are many Civil War Veterans buried across our countryside, but the thing that drew my attention to this one was the fact that it was completely alone. My friend and I commented to each other about how there seemed to be no connection or reason for the tomb to be in this place. As we looked around we noted that there wasn’t any remains of a house nor was there any visual reason for the tomb to be in its place. The grave is a simple one with a small wooden fence around it. It seems to be kept up by someone and there are two American flags on either side of the tomb. One with the marker GAR 1861-1865 and the other being the U.S. War Veteran marker. The tomb itself is legible and in good shape as you can see from the photo. So the question arises Why here? Well we all can venture to guess but for me I just like knowing that the final resting place of this soldier has not went unknown or unkept. Jacob Hull, Member of Company E 14, PA Cavalry Vol. who died in his 49th year of life. He joined our troops on March 9, 1864. I have been out looking for an old cemetery that I had visited as a young child. This cemetery is a small one that seems to have been a small family cemetery or a small community. Many of those that were buried there died during a period of 1 – 2 years. I spent some time out today looking but was unsuccessful. If I remember correctly there is a stream running nearby that has a swimming hole from a small dam that was built across the stream. I know this cemetery is in the Warton township area in the “mountains” in Fayette County, Pa. If anyone happens to know of the location I would very much appreciate any information. As soon as I find it I will post some pictures and information. 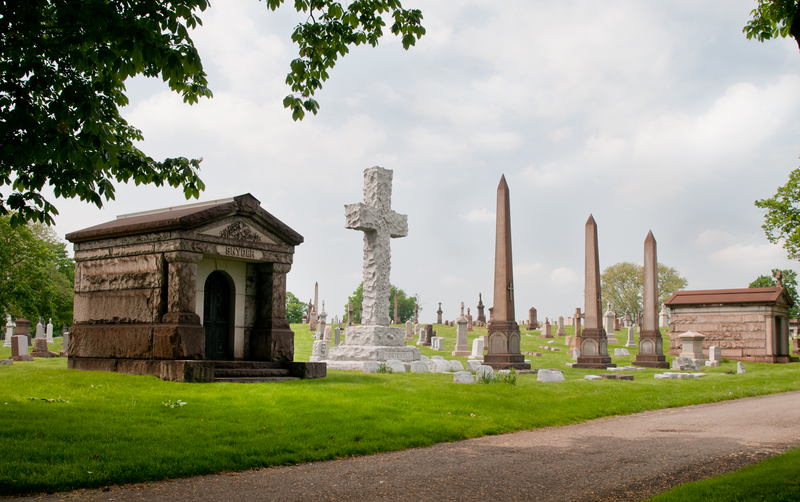 This past weekend I visited the Allegheny Cemetery in Pittsburgh, Pa. Here are a few of the shots that I took. Yesterday I got a chance to visit the Mt. Washington Presbyterian Church and Cemetery. This is a small church and cemetery located on Rt. 40 just past Ft. Necessity. The church and cemetery were established in 1842. Today I’m headed out to find…. I’m headed into the hills today and hope to find at least one cemetery along the way. The big trip to Allegheny Cemetery is still on for tomorrow and I will be posting photos asap. So this weekend the photography society that I belong to is planning a trip to the Allegheny Cemetery, St. Mary’s, and Homewood Cemetery all located in Pittsburgh, Pa. I have photographed each of these several times in the past but I always find something new. Check back next week for more photos from the weekend. I was in Pittsburgh looking for something to photograph when I happened upon the Calvary Catholic Cemetery in Hazelwood, Pa. The cemetery was established in in 1886 and the first burial took place in June of 1888. The cemetery encompasses 200 acres of beautiful hillsides and in places you can see the Cathedral of Learning in the distance. Laid to rest at the cemetery you can find several famous boxers, baseball players, and politicians at the city, state, and federal level. As of 2008 there has been 152,238 interments and entombments at the cemetery. Check out the cemetery photos page and the links page for more photos and information about the Calvary Cemetery. 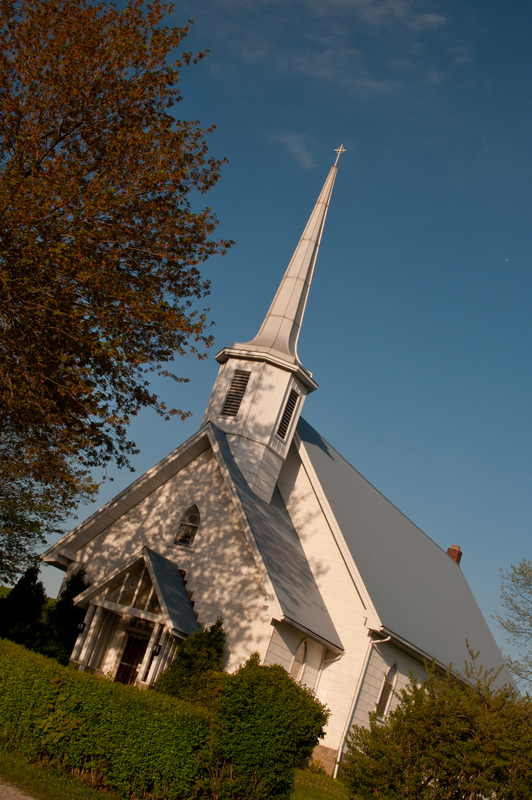 This nice little cemetery and chapel can be found on the top of the hill as you come into Confluence, Pa on Rout 381. 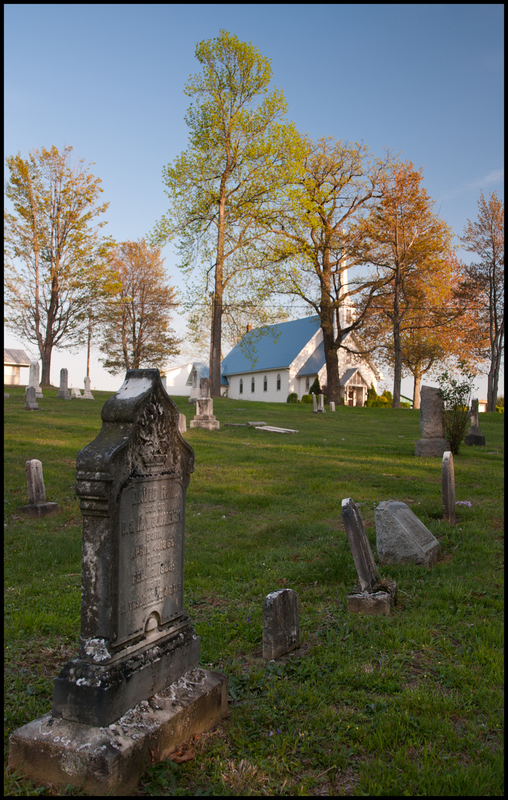 The cemetery sits across the road from the chapel and was established in 1820.